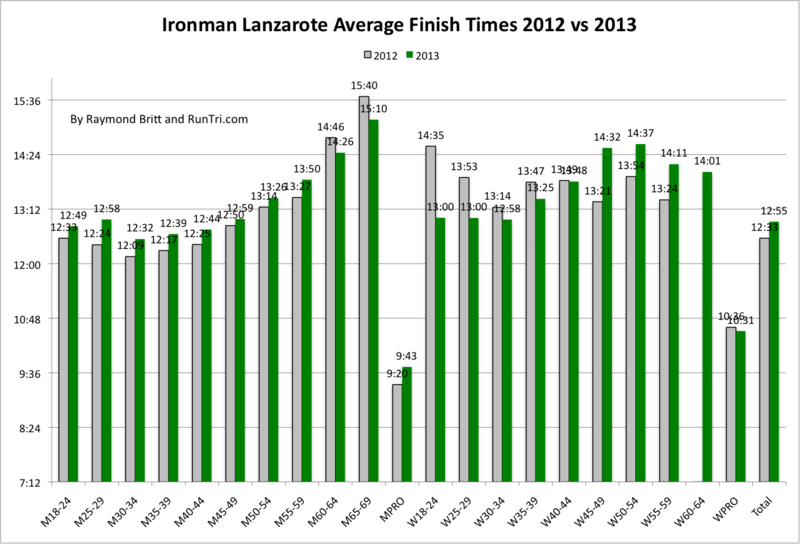 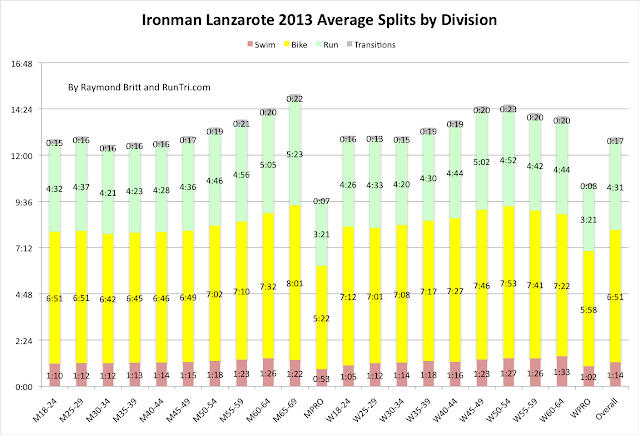 At Ironman Lanzarote 2013, 1,648 triathletes finished in an average time of 12 hours and 55 minutes. 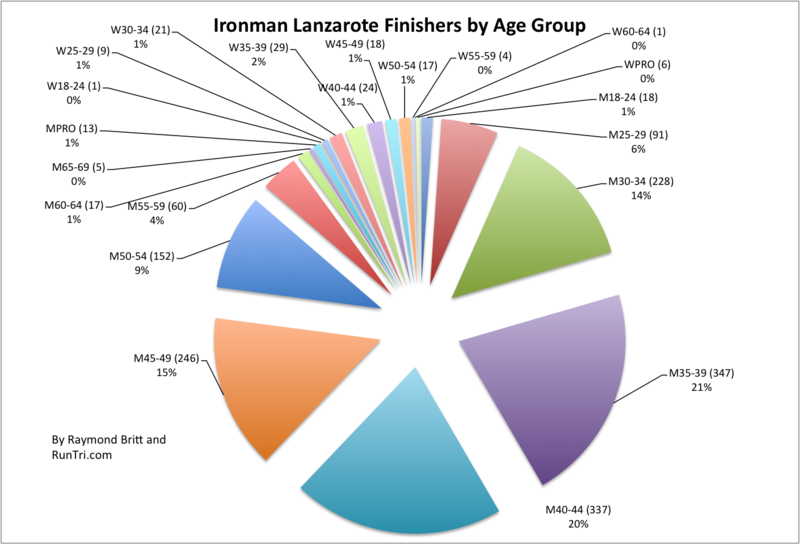 Lanzarote, with its intimidating bike course, has long been revered as one of the toughest Ironman events in the world. 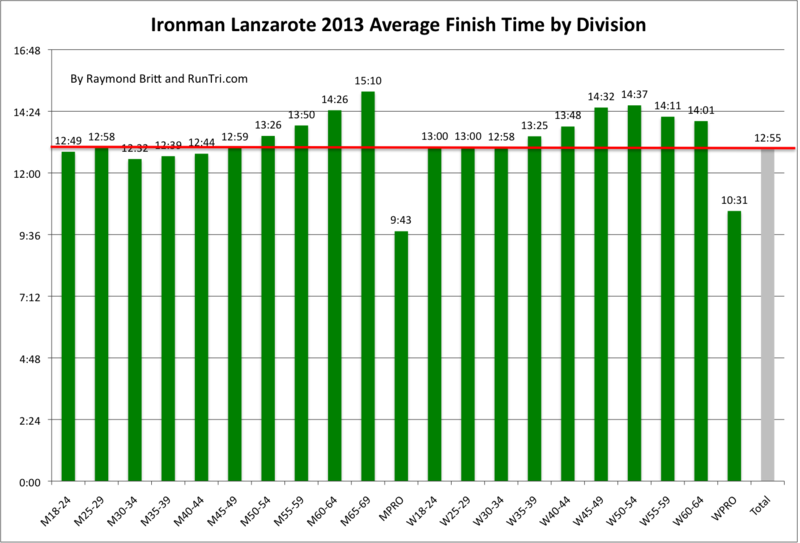 However, while a 12:55 average finish time is by no means fast, it looks notably swift compared to the average 13:40 finish time at Ironman Texas 2013, held the same day. 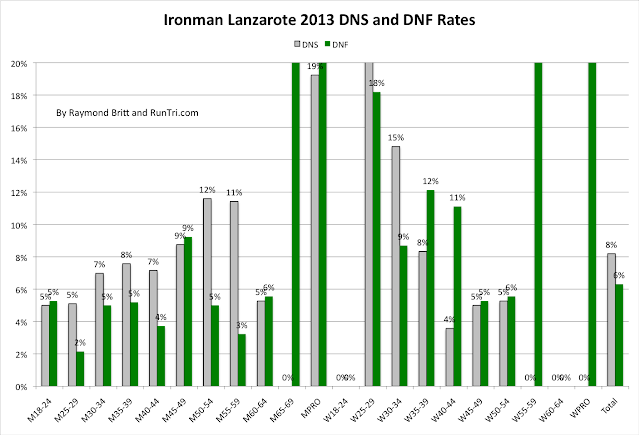 Of the more than 1900 athletes registered, only 8% DNS (compared with 13% at Ironman Lanzarote 2011) and 6% DNF, same as in 2011. 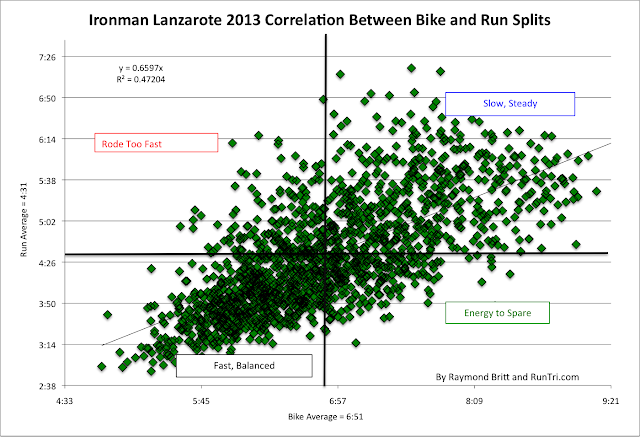 The decidedly slow average bike split of 6:51 is understandable given the challenges of the terrain. 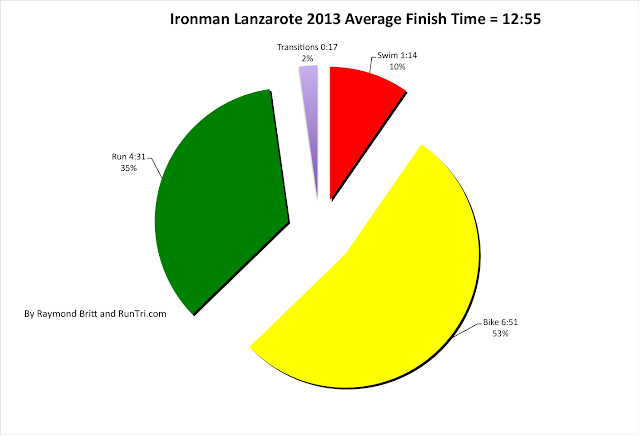 However, what's remarkable is the average marathon time; at 4:31, it is faster than the average finish times of Chicago Marathon, New York City Marathon and many other major stand-alone marathons.